Do You Need an Insulation Company Serving Nags Head, North Carolina? If you’re looking for a skilled, professional, and experienced home insulation company in the Nags Head, North Carolina area, look no further! 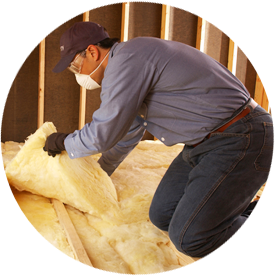 Tidewater Insulators has all your insulation needs covered, from consulting to insulating crawl spaces and basements. We’ve been insulating homes in the Outer Banks for over a decade and have the experience and expertise to properly insulate your home and help you start saving money! When it comes to home energy efficiency, comfort, and all-around value, nothing is more effective than insulation. Our highly trained and skilled home insulators serving Nags Head and the surrounding areas in the Outer Banks are licensed and insured and complete every single job correctly, safely, cleanly, on budget, and in a timely manner. Customer satisfaction is always our number one priority! It’s time to insulate your home and start decreasing your energy costs today! Tidewater Insulators can make sure your home is performing at an optimal level for energy efficiency. Schedule a free insulation consultation today for your Nags Head home! Thinking of insulating your new home or re-insulating your current one? We will assess your home and let you know the best places to insulate to maximize energy savings. Contact Tidewater Insulators today and schedule a free insulation consultation!